Hey all! After some e-mail confusion, Scott and the crew have supplied me with the missing answers from the January 17th Q & A! 1.) With all the plans that have been revealed so far with regards to the 30th anniversary, are there any surprises left to be revealed still (outside of the standard monthly releases)? 2.) We were told previously that it took months for a figure to complete production, and they couldn't make changes due to this. Yet Toy Guru stated in his Sorceress video in mid -December that she has not even started going into production yet, with her release less than a month away... how is this possible? Different figures and products go into production at different times based on logistics and line time. 3.) The customer service abilities of Digital river seem to be getting worse with time. MANY folks had problems with either their Swift Wind or Wind Raider orders (in some cases even both) and they are still caught in limbo with DR. Simple things like returning e-mails or phone calls just aren't happening. Speaking as one of those customers who has now waited weeks for any word on a broken Wind Raider replacement, it is becoming increasingly frustrating to deal with this. It shouldn't be this hard to get a replacement for defective product or to find out why your order hasn't shipped. Even worse, it seems as if the direct line to U.S. customer service has been shut down, leaving the standard DR call center as your only option for dealing with problems. Is there ANYTHING you guys can do about this? I fully expect the answer to be that "it is being looked into", but that really isn't enough to help all the customers who have issues in the present. We are constantly working on improving customer service issues with Digital River. 4.) This question is in regard to the Demo-Man delay- Why were we not alerted until 2 days before the on-sale date that Demo-Man wouldn't arrive in time? With sub orders supposedly shipping 2 days before the sale date, it seems as if you would know already that Demo-Man wasn't going to arrive in time. Do figures really arrive at the warehouse the day they are scheduled to start shipping, with no advance warning on whether or not they will arrive that day? I just find it hard to understand how you wouldn't know a figure was going to be weeks late until the day it was scheduled to start shipping to subscribers. We did not know until very late in the game that their would be a delay and we alerted fans as soon as possible. 5.) Another question regarding the Demo-Man situation- Why was the decision made to hold the Battleground Evil-Lyn figures back instead of shipping those to subscribers separately? It really felt like 2011 ended on a sour note for subscribers, since we were all stuck waiting for product while non-subscribers who purchased BG Evil-Lyn on the day of sale got her immediately. It seems like this would have been one of those cases where Matty should have eaten the cost of shipping BG Evil-Lyn by herself to subscribers as a show of good faith and as a way of maintaining the commitment to getting subscribers figures BEFORE day-of-sale buyers. Hopefully our communication issues are all straightened out now... Thanks once again to Mattel for taking the time to do this! 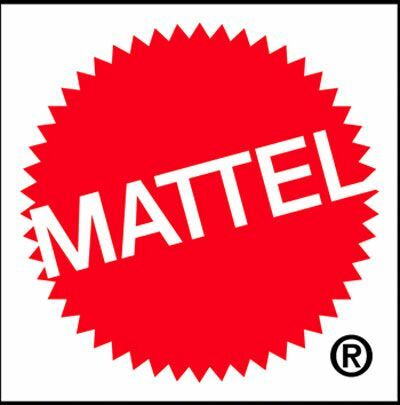 I don't know what's going down with Mattel these last few months but it seems to be getting worse and worse. I appreciate that Scott is a fan and seems to be trying his best to get our needs met (and us informed), but someone over there needs to step up and get it together. I still haven't received my Wind Raider, BG Evil Lynn, or Demo Man. I didn't want the Star Sisters but now I'm stuck with them because of the sub. So I'm already super frustrated and all these delays and excuses from Matty are not helping! Don´t worry! This happened to me before, too. Human error! On the other hand: Most of these questions have been answered already on numerous other occasions and in the latest huge statement of TG.